3 Υears Complete protection of your printers! 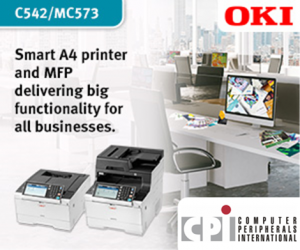 Thank you for choosing an OKI Led printer! The highly reliable, award-winning LED technology of OKI, provides excellent reliability and less wear. Combined with durable components and robust design for long life, it allows us to provide users with the confidence of a 3 year warranty as standard on all laser technology models. By filling your application for 3 years warranty, we provide you 3 years complete protection of your equipment, from the date of purchase, under the condition the use of original consumables. The warranty will not apply to any fault or malfunction caused by improper or inadequate maintenance or modification to the product, parts (including consumables) not supplied by OKI or misuse of the product. I would like to receive updates and offers related to OKI products. *The serial number of the machine can only consist of numbers and uppercase Latin letters.